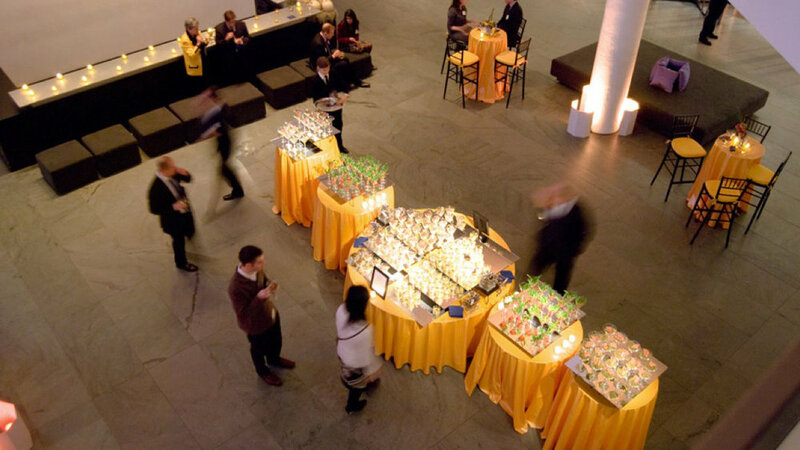 With the ability to accommodate everything from a private dinner for 100 to a cocktail reception for 3,500 guests, MoMA is Midtown Manhattan’s distinctive event space. 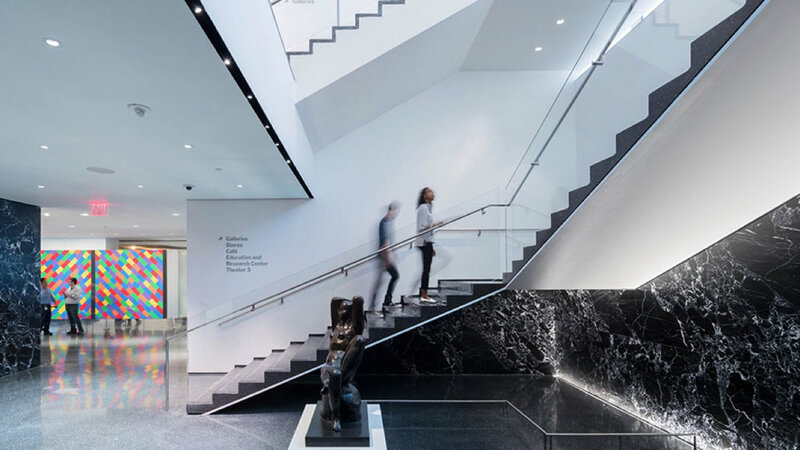 Dedicated to being the world’s foremost museum for modern art, your guests will spend the evening mingling amongst diverse national and international works of art in MoMA’s soaring spaces. Standing: 0 max., Seated: 400 max. These state-of-the-art theaters have superb film and video projection capabilities and act as an ideal venue for feature film premiers and screenings, shareholder meetings, lectures, and performances. Standing: 0 max., Seated: 200 max. Standing: 0 max., Seated: 125 max. In addition to The Roy and Niuta Titus Theaters 1 and 2 in the main Museum building, we offer two smaller theaters in The Lewis B. and Dorothy Cullman Education and Research Building, with the same first-rate film and video projection capabilities—ideal for smaller meetings or business presentations. Standing: 250 max., Seated: 80 max. The Edward John Noble Education Center Lobby and The Celeste Bartos Lobby create an elegant bi-level space for a cocktail reception or dinner. Both lobby areas are adjacent to The Abby Aldrich Rockefeller Sculpture Garden, providing extraordinary views of Manhattan’s midtown skyline. Standing: 1500 max., Seated: 0 max. Designed by the renowned architect Philip Johnson for the display of outstanding examples of sculpture from the Museum’s collection, the magnificent Sculpture Garden also features beautiful landscaping, seasonal plantings, and reflecting pools. Standing: 1000 max., Seated: 700 max. The spacious lobby is a flexible 12,400-square-foot space stretching between Fifty-third and Fifty-fourth streets. With inviting views of The Abby Aldrich Rockefeller Sculpture Garden, it lends itself perfectly to cocktail receptions, seated dinners, and dancing. Standing: 700 max., Seated: 400 max. Approached from the ground floor via a grand staircase and dramatically situated beneath skylights 110 feet overhead, the Marron Atrium stands at the center of more than 20,000 square feet of gallery space housing contemporary art. Standing: 200 max., Seated: 150 max. Conveniently situated on the Museum’s 2nd Floor, directly adjacent to the special exhibition galleries, Cafe 2 provides an adaptable space for entertaining. Characterized by long sight lines, it is suitable for receptions, dinners, or an intimate performance space. Standing: 100 max., Seated: 60 max. Located immediately outside the Painting and Sculpture Galleries, this café on the fifth floor offers a unique, intimate atmosphere and is perfect for smaller events. In good weather, the balcony offers a spectacular view of the Sculpture Garden. Standing: 250 max., Seated: 70 max. Located immediately outside of MoMA’s Rene d’Harnoncourt Exhibition Galleries, this distinctive platform with skylight above and views of the Artium below provides convenient access to our featured exhibitions.